Today, Monday, April 8, starting at 7PM the 2019 spring hearings hosted by the Wisconsin Conservation Congress (WCC) will be held in each county. Wisconsin is one of the few, if perhaps the only, state to give its citizens a voice in conservation legislation through such hearings. This year there will be an online option for people who aren’t able to attend a hearing in person or who’d rather provide input using their smart phone. The input form will go live at 7 p.m. on April 8 and remain open until 7 p.m. on April 11. * Providing input on citizen-introduced resolutions or participating in the WCC election will continue to require in-person participation. 50. 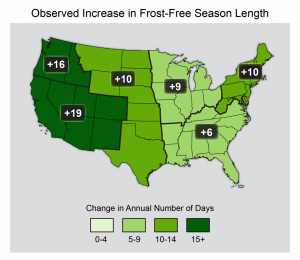 Increase setback from fields to streams to 30 feet and encourage establishing vegetation. 55. Restore carcass tag requirement for deer hunting. 56. Support statewide ban on baiting and feeding deer in an attempt to reduce affects of CWD. 57. Require pheasant, grouse and quail hunters to wear blaze orange or pink on 25% of their outer clothing. 70. Restore public funding for public lands. 76-77. Change youth hunting age back to 10 and require only one gun firearm between the mentor and the mentee. 80. Designate the hickory nut as the Wisconsin state nut. 84. Create a Common Reedgrass (Phragmites australis) control fund. 85. Ban lead ammunition and fishing gear in Wisconsin. 86. Support a four-year pilot program creating temporary lead-free ammunition shooting ranges to be used for school sponsored scholastic shooting teams that do not have access to local facilities. If you are a Wisconsin resident and are not able to attend the session to cast your vote personally or on-line, but you wish to comment on the proposed rule changes or WDNR Wildlife advisory questions, you can submit comments or phone (608) 267-2452 by April 11th. Established in 1937, the Wisconsin Conservation Congress was legislatively recognized in 1972 as Statute 15.348 to ensure citizens would have a liaison between the Natural Resources Board and the Department of Natural Resources. *The online version of the Spring Hearing questionnaire will be posted on the Spring Hearing website (dnr.wi.gov search keywords “spring hearings”). 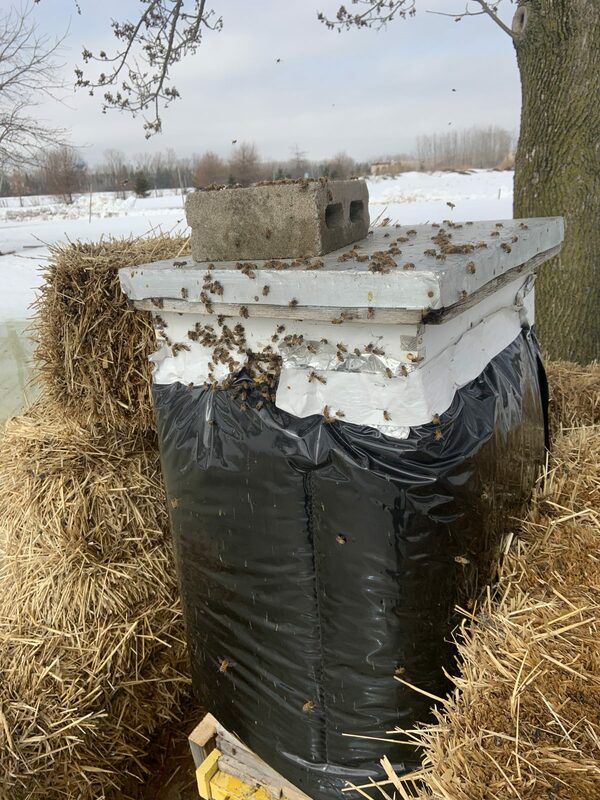 Wild Ones member Ken Sikora recently wrote to share the news his honey bees had ventured outside for a cleansing flight,* and that they will be ready to pollinate as soon as the first blossoms appear. With Ken’s permission, I share our conversation below. Donna: Can you tell me what kind of bees you have? ‘Doesn’t matter if they’re not native. 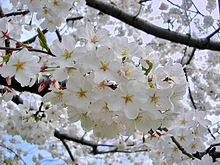 What are the first blossoms that typically appear in your area? Ken: This particular colony/race of bees (they are probably Carniolan because of their blackish-gray appearance) was given to me by a hobby beekeeper, who didn’t want to keep bees any longer. I now know why. Originally coming from a commercial beekeeper out of Georgia, they are more aggressive than my other colonies. This often happens when Carniolan queens raised in the south mate with Africanized drones, or drones that carry those traits. 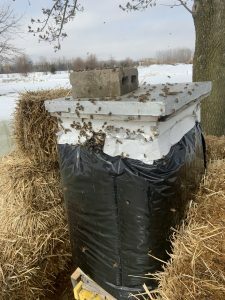 Having bees winter-over is very desirable, because instead of waiting for a shipment of new bees to arrive in mid-May, these bees will be raising new a brood and foraging already in mid-April, depending on the weather. They are out and about whenever the temperature outside is 55 degrees, or warmer, and it’s not raining. Bumblebees are a little more hardy and will forage at lower temperatures, even during a light rain. The first blossoms that attract bumblebees and honey bees here are non-native crocuses. The daffodils are up a couple of inches under the leaves now, but I seldom see the bees work their blossoms. After crocuses, the next blooming plants are the native buttercups, leeks, hepaticas, trilliums, Virginia bluebells, yellow bellwort, to name a few. Later it will be ironweed, Joe-pye-weed, yellow cone flowers, etc. Note, in early spring, the bees also bring in a lot of pollen from willows, maples, etc, where pollen is more abundant and the gathering is easier. The queen will start her egg laying as soon as the pollen stores are being replenished. The need for pollen is essential for the new developing brood, as this is their source of protein. 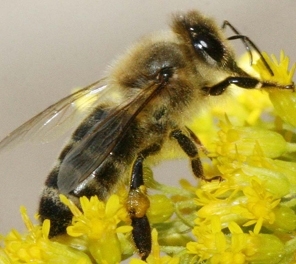 The nectar, mainly for the adult bees, provides the carbohydrates, or needed energy for them to do their work. See More on Pollination – Honey. My bees will have a diverse quantity of blossoms to forage on all summer, because our yard consists mainly of wildflowers, fruit trees and shrubs. Bees need a good variety of lipids, minerals, proteins, acids, etc in their diet in order to be healthy and raise large quantities of brood. 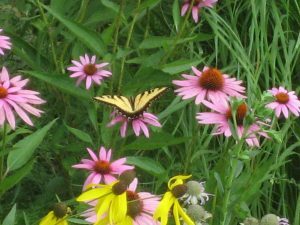 And, wild flowers provide that – much more so than horticulture plants. Donna: What happens to honey bees in the winter? Ken: They don’t go to sleep. The bees stay awake and cluster between the frames. They vibrate their wing muscles to generate heat which maintains a temperature close to 90 degrees in the center of the cluster, where the queen is located. Like penguins on an ice shelf, the outside colder bees keep moving to the inside and the warmer bees are forced to the perimeter. To generate the heat needed, there has to be enough honey/carbohydrates stored for them to continuously feed on. I ensure they have enough by feeding them a sugar-water syrup in the fall, and adding a dry fondant/bee candy by late winter and into spring. *Bees do not poop inside the hive. They take a cleansing flight at opportune times in the winter to poop outside the hive.